2018 promises to be an exciting year for Western Springs College – Nga Punā o Waiōrea. The new build finally gets out of the ground. After digging out the rubbish (literally) and replacing it with crushed concrete, you can be sure we are building on clean, stable ground. Over summer, the new three-storey will start to take shape, the driveway and space next to the marae will be excavated and refilled. Downers are digging a trench for all the services and laying the foundations for the new two-storey Waiōrea teaching block and Whare Tapere performance space. Meanwhile, the teachers are preparing themselves to deliver effective learning experiences in the new flexible learning spaces. It is both challenging and energising. We have specialists advising us on Innovative Learning Environments – teaching practice, furniture and technology. We are acutely aware of the possible risks associated with this leading edge approach and are actively mitigating those risks. For instance, parents often mention concerns about noise and this is one area where no-one is looking for cost savings and there has been rigorous peer review of the acoustic design. 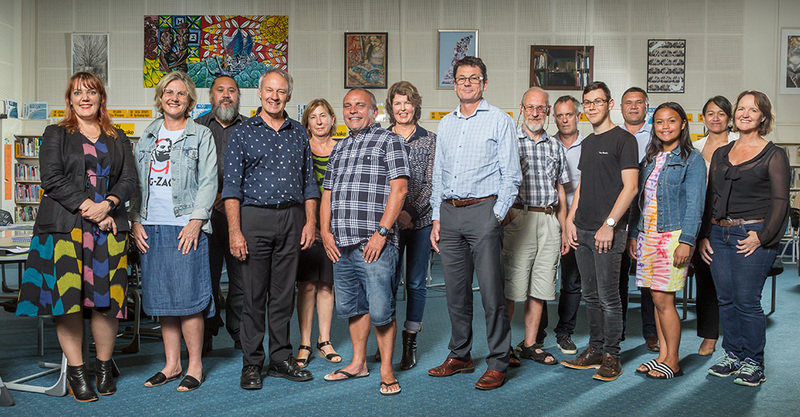 The Board is committed to co-governance and this year we will formalise this long-standing practice with a constitution customised to fit the specific needs of Western Springs College – Nga Punā o Waiōrea. The new constitution is based on the spirit of equality between the two treaty partners. The primary, intermediate and secondary schools, in our Western Bays catchment, have been working together to form a Kāhui Ako (Community of Learning). WSC/NPoW is enthusiastic, as are the other schools, about the opportunity it offers students to have a clear, integrated pathway through primary and intermediate schooling leading to our college. It will mean shared student data and learning goals, to deliver excellent education outcomes. It offers teachers new challenges and opportunities, starting in 2018, that all schools hope will improve teacher retention across the Kāhui Ako. Thank you for your support and I look forward to meeting many of you at school events.